Since the establishment of the State of Israel, Dan Hotels has led the development of the tourism and hospitality industry in Israel. From its founding, Dan Hotels has set high standards in all its hotels, and has been the hotel industry’s standard bearer, through its work procedures and also due to the professional training of all employees. The Group believes that its businesses should be managed with integrity, honesty, and adherence to its vision: “Provide guests with service above expectations and nurture employees” – these are the values to which Dan hotels is uncompromisingly committed. , They are of vital importance in gaining the trust of guests, customers, company employees, business partners, suppliers and shareholders. These binding values are key factors in the Group’s past, present and future success. The Dan Hotels is the oldest, most prestigious hotel chain in Israel. 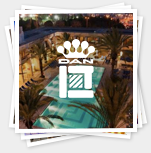 The Dan Hotels collection includes 14 hotels and it is the most recognized name in the Israeli hotel industry. While each hotel has an individual character, all Dan Hotels share the same dedication to perfection. The Group believes that its businesses should be managed with integrity, honesty, and adherence to its vision: “Provide guests with service above expectations and nurture employees” – these are the values to which Dan hotels is uncompromisingly committed. , They are of vital importance in gaining the trust of guests, customers, company employees, business partners, suppliers and shareholders.